ElbridgeGerry is a Legacy Library. Legacy libraries are the personal libraries of famous readers, entered by LibraryThing members from the Legacy Libraries group. » Elbridge Gerry's legacy profile. ElbridgeGerry is also an author. » See Elbridge Gerry's author page. About meElbridge Gerry (17 July 1744 – 23 November 23 1814), Massachusetts statesman and diplomat. A 1762 Harvard graduate, Gerry briefly studied medicine before working in his father's shipping business and becoming active in politics. He was a member of the Massachusetts General Court from 1772-1775 and served as a delegate to the Continental Congress, 1776-1780 (during which time he signed the Declaration of Independence), and again 1783-1785. Gerry also served as a Massachusetts delegate to the 1787 Constitutional Convention, where he was one of three not to sign the final document (in protest to the omission of a bill of rights, among other points of opposition). Gerry was elected to the U.S. House of Representatives under the new federal government, serving in the First and Second Congresses (1789-1793). Gerry supported most policies of the Washington administration during his time in Congress. After his retirement from the House, Gerry was sent to France in 1797 as a member of the delegation which became involved with the infamous XYZ affair. Changing political allegiances, Gerry ran unsuccessfully as the Democratic-Republican candidate for the governorship of Massachusetts in 1800, 1801, 1802 and 1803, but was successful in the 1810 and 1811 campaigns. He was defeated again in 1812, partly over the political controversy surrounding his most famous legacy, the gerrymander (he supported, but did not initiate, the redistricting bill which resulted in that funny-shaped legislative district). 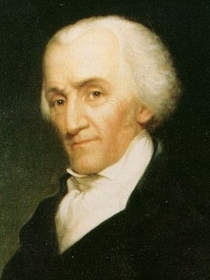 Gerry was elected the fifth vice president of the United States in the election of 1812, serving under James Madison. He died in office (becoming the second VP to do so) on 23 November 1814. Gerry's wife, born Ann Thompson, survived until 1849; she was the last surviving widow of a signer of the Declaration of Independence. The couple had three sons and four daughters. About my libraryThis known portion of Gerry's library is listed in Catalogue of a Collection of valuable and scarce Books, Being part of the Library of the late Elbridge Gerry, esq. To be sold for the benefit of the Widow and Minor Children of the deceased, at the store of Francis Amory, No. 41, Marlborough-Street, On Tuesday morning, 18th April , Commencing at Nine o'clock, a rare printed catalog known in very few copies. The books within this catalogue are organized in (very) loose alphabetical order by author (with books in French listed first). In some cases full bibliographical details are provided, while in others the information is incomplete. Where the edition cannot be determined conclusively from the information available, this is noted in the comments (as are the entries as given in the catalog for all lots).